When we were camped in Fanjeaux last week, we visited one of this year’s Tour de France mountain top finishes, the Plateau de Beille, and very pretty it was, too. Now we’ve moved west we are in the high Pyrenees and several other notable mountain stages of the world’s greatest cycle race are within easy reach. 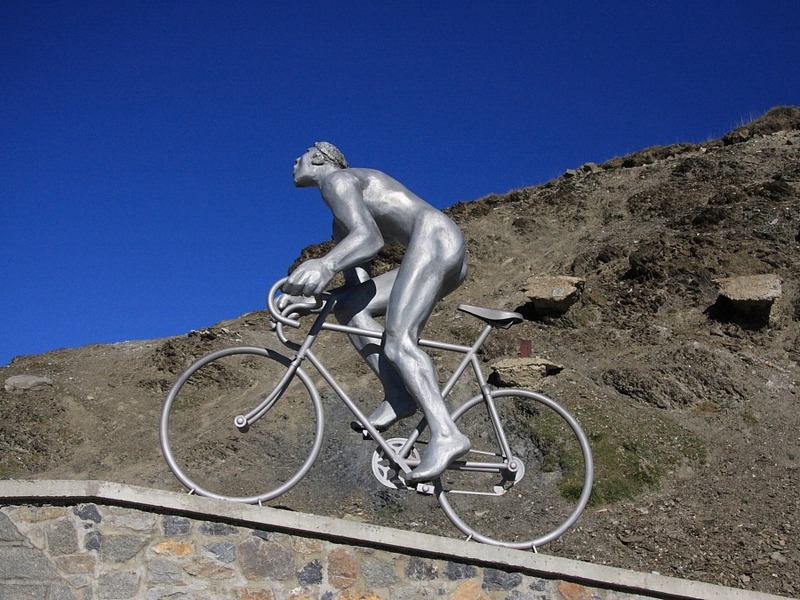 One such is the (in)famous Col du Tourmalet topping out at 2115mtrs/6900ft. Prompted by the fact that we could reach it without dicing with the centre of Bagnère-de-Bigorre and noting that we could drive a circuit, thus avoiding a “there and back” situation, we set off. Saturday morning isn’t the best time to drive up such a mountain pass since you seem to be sharing the road with every cycling maniac for miles around. The climb up the road to the col is 17kms/10mls at an average gradient of around about 12% (but don’t quote me). It’s worth reiterating that an average gradient means little; the gradient on hairpin bends ramps up dramatically. The French don’t think they’re cycling unless they’re going up hill and here, they’re cycling, with a vengeance – seemingly all of them. For the Tour de France the road is closed; there’s no opposing traffic to avoid on the hairpin bends as you overtake a cyclist struggling uphill and the only vehicles able to knock cyclists off and into barbed wire fences are the press and support vehicles. [Ed: well, someone had to say it.] Negotiating almost constant strings of gasping, occasionally wobbling cyclists with frequent blind bends was nerve-racking but we made it to the top without getting thrown in jail. Here, there is a statue commemorating the first ascent in Le Tourin, I think, 1910. 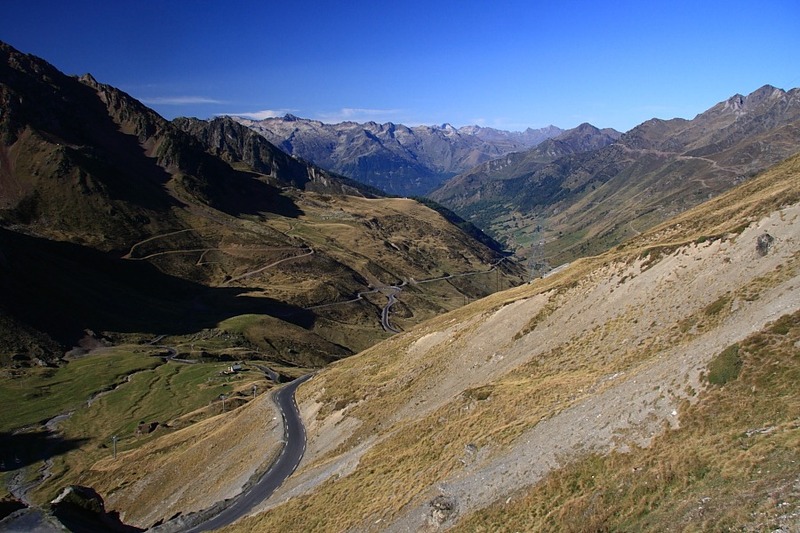 Being in the high Pyrenees, the Col du Tourmalet is part of a skiing area. The French have a utilitarian approach to skiing resorts which are generally far from attractive. (Take a lesson from the Austrians, France – beauty and function combined.) The ski town of La Mongie near the top of the col, is no exception. In fact, La Mongie is depressingly ugly with slab upon slab of featureless, tall accommodation blocks scarring the otherwise picturesque landscape. 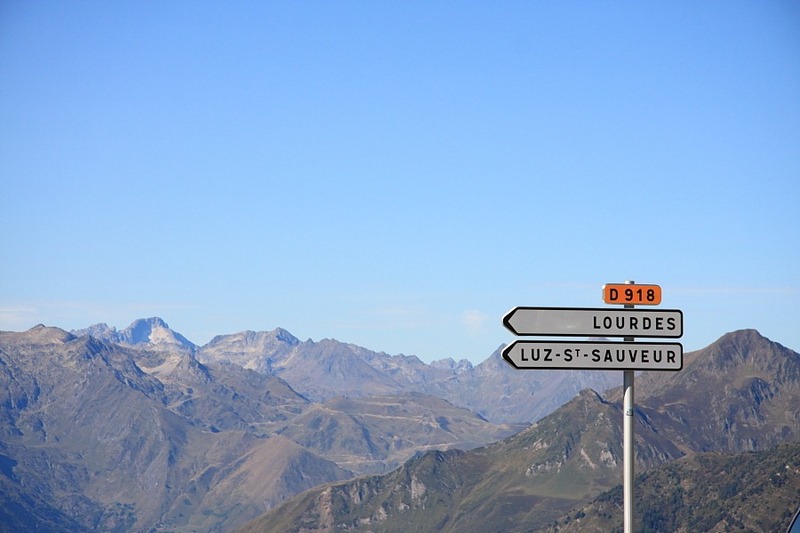 Fortunately, ignoring the buildings, both the views of the countryside on the way up and the ultimate vistas of the majestic Pyrenean peaks themselves once reaching the top make the journey very worthwhile. We eventually continued down the other side, intending to do a complete circuit returning via the Cirque de Gavarnie, a massive horseshoe rock formation at the head of a glacial valley, and Lourdes, where St. Bernadette drank too much booze and had a “vision” (I’d call it an hallucination) thereby creating one of the biggest religious tourist traps on the planet. 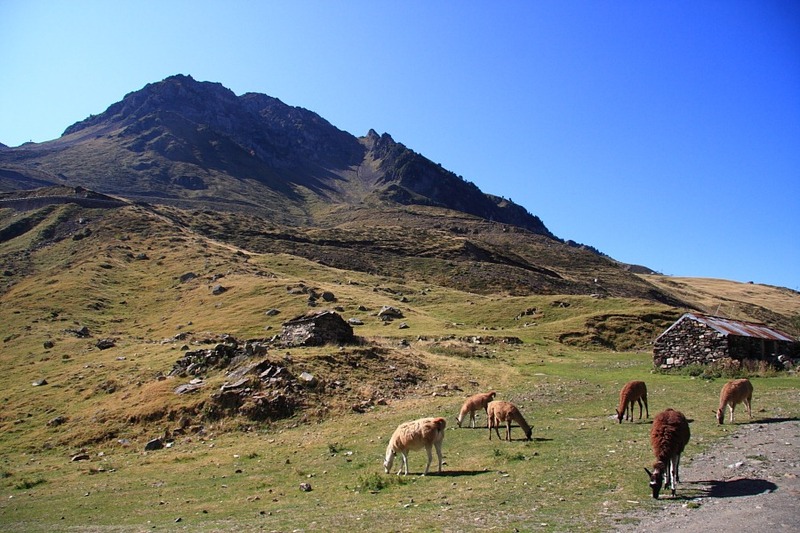 What I didn’t expect to bump into, fortunately not literally, on the way down of the col, was a small herd of Pyrenean llamas. We negotiated further cyclists on the decent, made it to the Cirque de Gavarnie where the light was pants (he cirque faces north so is in shade whilst cameras face south directly into the sun), bypassed Lourdes this time in favour of returning for a desperately wanted drink to see if we could rustle-up our own mystic hallucinations.